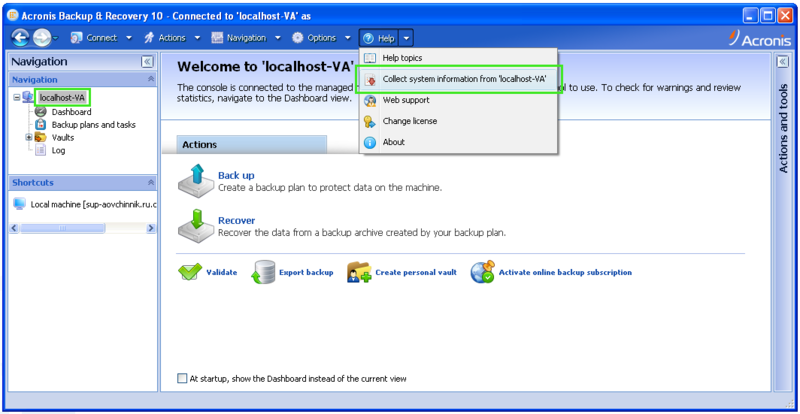 To troubleshoot issues with the Virtual Appliance, it is recommended to collect Acronis Agent for ESX/ESXi Virtual Appliance logs. Or go to Log and select Save all to file. If you face any issues when collecting ESX Appliance logs you can use alternative way to get the required directory to your machine. 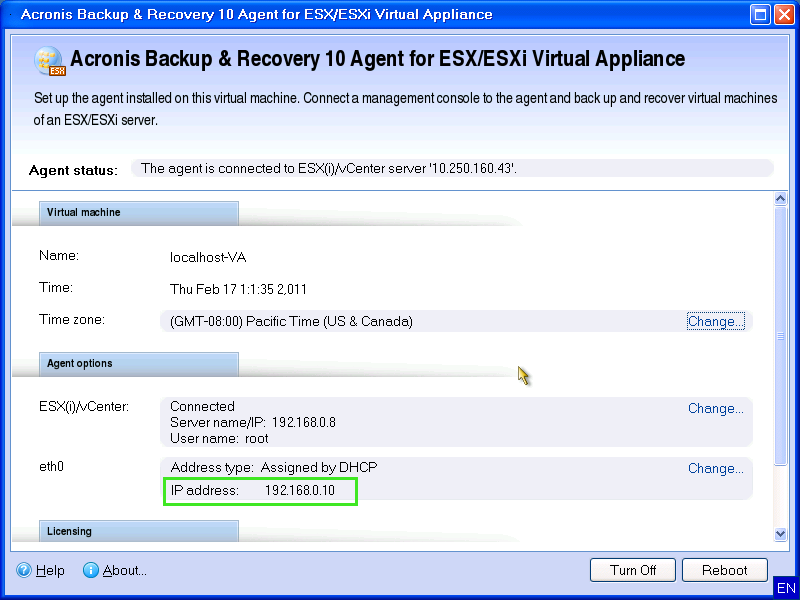 where 1.1.1.1 is IP address of your ESX Appliance. Please also note that you can double check its IP address using '/bin/ifconfig' command and root password for ESX Appliance is 'root'. After you execute the above command the Acronis directory will appear inside C:\. After you execute the above command, the Acronis directory will appear inside your current working directory. (!) Please note that Ctrl-Alt key combination is set to release mouse pointer from a virtual machine by default. In this case you need to press Ctrl-Alt-Space-F2 key sequence to send the Ctrl-Alt-F2 signal to the virtual machine. <password> is the user password. Please note, everything is case sensitive. If your share has a capital letter, make sure to type a capital. When typing /var/lib/Acronis, make sure to write Acronis with a capital A. You can use the ls (LS) command, to list the files in a directory, this is useful to check if the share was mounted properly. If you have an issue with Acronis Agent for ESX/ESXi Virtual Appliance, contact Acronis Customer Central with a reference to this article and the collected logs. 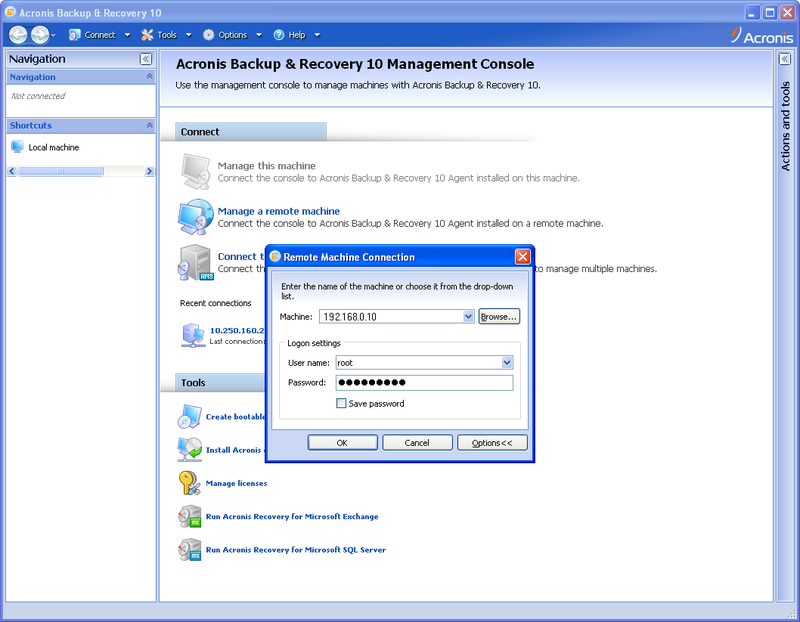 Acronis Backup & Recovery 10 Agent for ESX/ESXi: "Creating a quiesced snapshot failed"